In a recent interview, Lewin tells us about the night he and Jazayeri together discovered a shared love of food and hospitality, the many theme-driven cuisine's of Juliet, and the one thing on the menu you must try. Katrina and I hosted pop up dining events around our regular jobs before we had our own restaurant. I have a knack for getting myself into more work than I can actually do well. The first time we ever cooked together for others was about 2 hours outside the city, with one big outdoor oven, and no access to any resources except what we packed with us. I'd known Katrina something like 4 months. I was in over my head again and asked her if she could help. Next thing I knew the tables were set with hand painted paper and she was busy chopping the braising greens that I'd forgotten but she hadn't, and we built a beautiful and original story that began that night under the stars, far from the city, in a place that could only have been ours, if only for a few hours. I don't think either of us actively decided there would be a restaurant that day. But I am also pretty sure it was inevitable from that point. The cuisine at Juliet changes all the time. 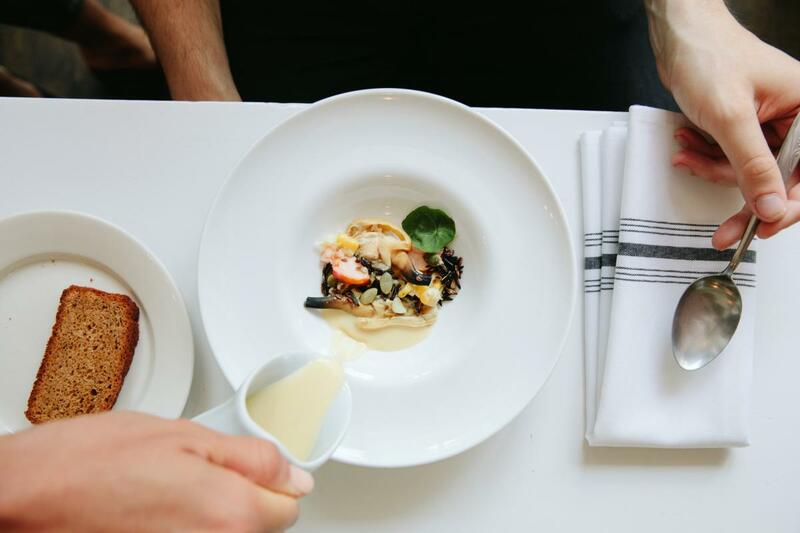 We serve dinner as a larger production that includes a theme in the cuisine, but also dynamic design in the dining room and other elements of service. By day, Juliet is more casual, operating as a cafe, and on Sunday evenings we reinvent ourselves once again, serving a menu of traditional and modern Italian favorites in a casual atmosphere. Well, that changes every 6-8 weeks with the menu! But if I had to answer, have an omelette. We won best breakfast in Boston from The Improper Bostonian the year we opened, Best Brunch from Boston Magazine this year, and both of those I have to think were on the strength of the omelette, which we won a Scout's Honored Award for this year from Somerville Scout. See what I'm getting at? BUT, that's just breakfast. We serve an omelette for lunch and dinner as well, and for dessert. 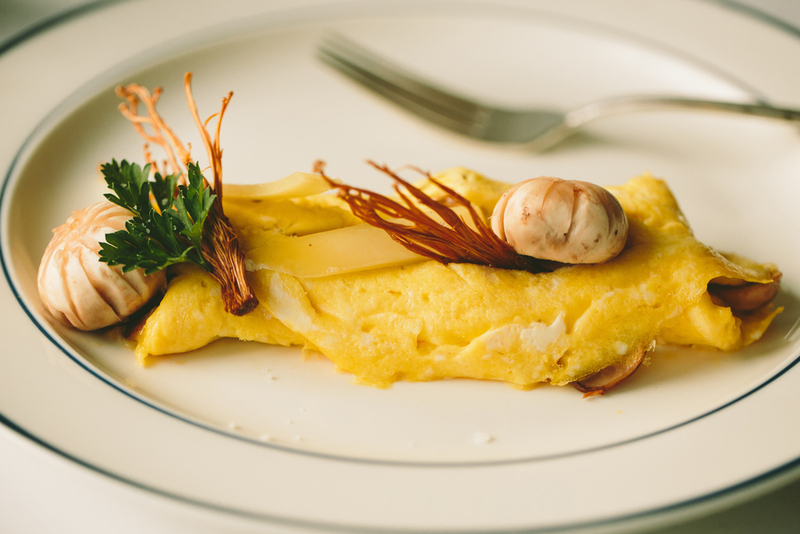 "An omelet can be made either savory or sweet, and although sweet omelets have all but fallen away these days, it might be time to resurrect them." -Melissa Clark in the NYT. Yes, Melissa, we agree (and ours is often simply filled with Jelly). While the menus at Juliet are often very European, and specifically French. The Beach Rose menu is a celebration of New England traditions, and ingredients. These are foods that I grew up with. Mostly fish and shellfish, and there is a lot of Portuguese influence in the menu too, which we see all over the Union Square neighborhood itself. The "Boston" style of cooking to me has always had a lot of parallels to the French Riviera, and specifically Marseilles. The idea of these trade routes influencing what is available and what becomes canonical as far as the cooking. So I guess our Marseilles March production which comes right before Beach Rose (and was the subject of all of our reviews in 2016: "a jewel box filled with surprises" -The Boston Globe and "almost a dream restaurant" -Boston Magazine), features a lot of more traditional Boston influence also, although that hides a bit just below the surface of what is presenting itself as a Mediterranean experience. I couldn't cook without the people in it. There's nothing special back here. Things to transfer heat, things to cut things into pieces. We do a billion different things here with very few resources and very little space. The people here that help me do it are indispensable. Our favorite restaurant in the area is Bisq in Inman Square. We recently returned to Giulia for the first time in years, and it was just as perfect as we remembered it. I am very keen to check out the second incarnation of Spoke. The first Spoke was a real standout, and we are really rooting for the people involved with bringing it back after the death of the former owner, very young, from ALS. We haven't been back in a bit but we were pretty early fans of Shepard in Cambridge. We were on the list of Bon Appetit's Best New Restaurants together in 2016. A lot has changed over there, we look forward to seeing what is new. We have some neighborhood gems too that I don't want to tell you about, but you should spend some time in Somerville walking around seeing how much there is to be had here. Although, I guess Katrina and I should get to Boston once in awhile too! There is so much new to try!